0 registered members (), 69 guests, and 493 spiders. This church is literally next door to the Byzantine Catholic church. It proves how sad the divisions were back in the day. It's founding was a result of the typical parish feud, court case, we lost, lets build a new church, etc. What happened in Hawk Run was particularly tragic and quite unnecessary. 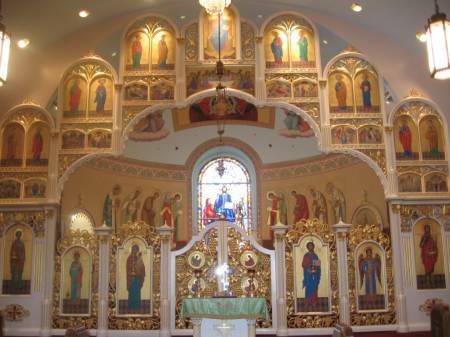 The original church had been Orthodox for decades, and the overwhelming majority wanted to remain Orthodox. I'll spare you the gory details, but the litigation was provoked by a foolish and ambitious person. Hawk Run is a small place, so almost anywhere that the new church was built would have been next door to the original church. 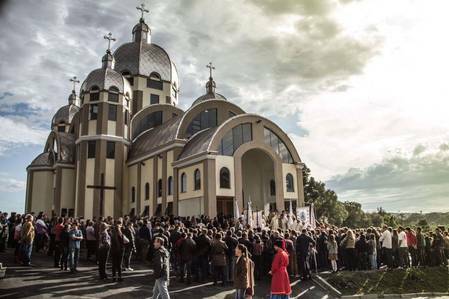 Almost all the parishioners decided to join the new church; the Carpatho-Russian Diocese managed to provide substantial help to pay for the construction costs, but it was still a tight squeeze. God forgive those who caused the whole tragedy - and God grant that we may learn from it, and not replicate it. Thanks to both Etnick and Fr. Serge. BTW - Behind the Church is a nice place to have a picnic. 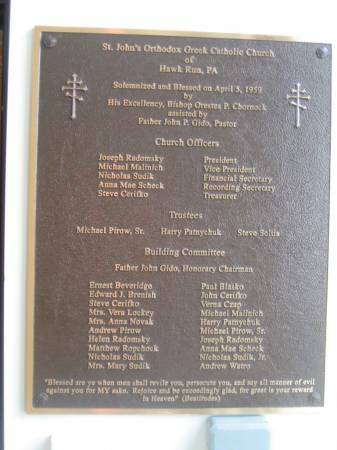 Also BTW - The folks in Hawk Run hailing from Ladomirova were in America long before the monastics arrived at a place in Upstate New York called ... Jordanville. Christ Is Among Us! Indeed He Is And Ever Shall Be! 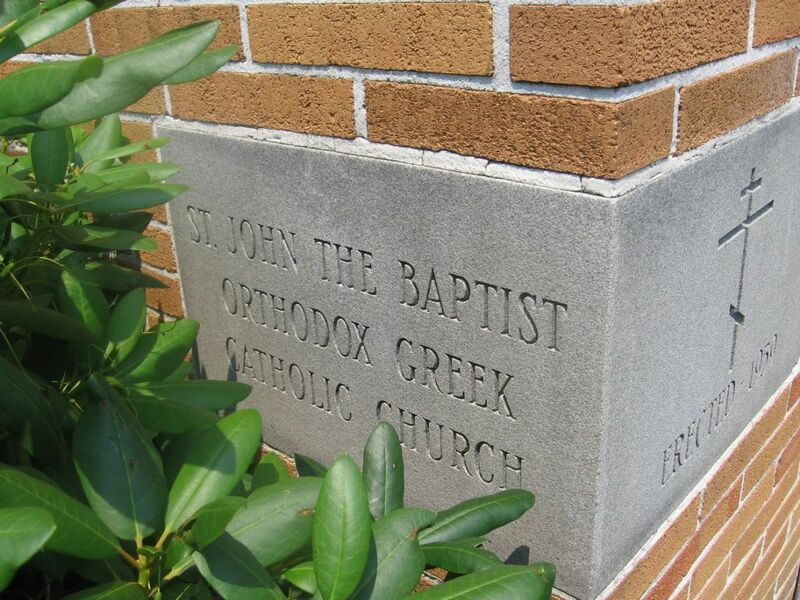 I heard St. John the Baptist still holds Christmas services on Jan. 7. I would love to go this year. This is a beautiful church. 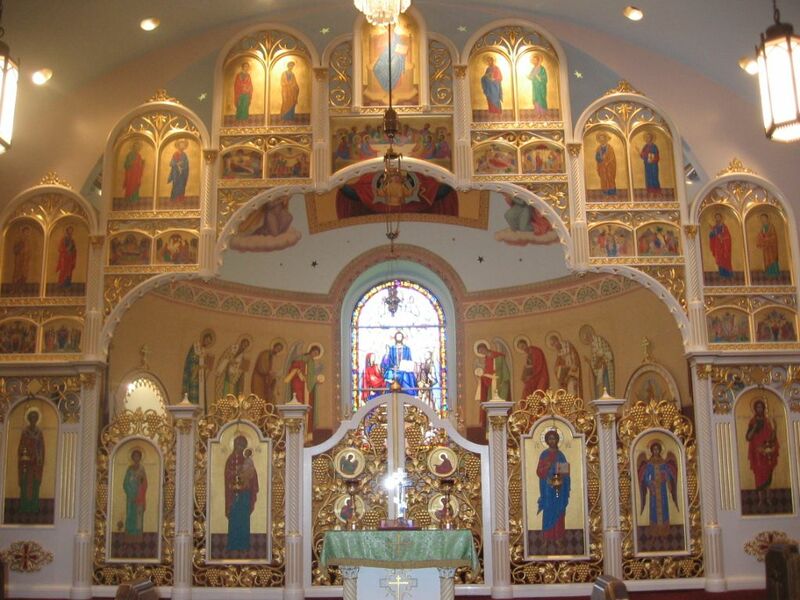 I attended the Divine Liturgy on Pascha about 38 years ago when the present iconostas was not yet constructed. It's a beautiful and uplifting addition. Fr. Peter Benyo I believe is the pastor. While he was "in residence" in CT he filled in once or twice for us and I liked him alot!!! 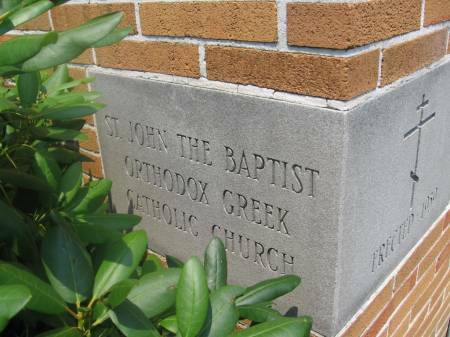 I have been to the Nativity of St John the Baptist in Philipsburg (OCA, just a couple of miles from here), but not this church. Is ACROD still on the old calendar? 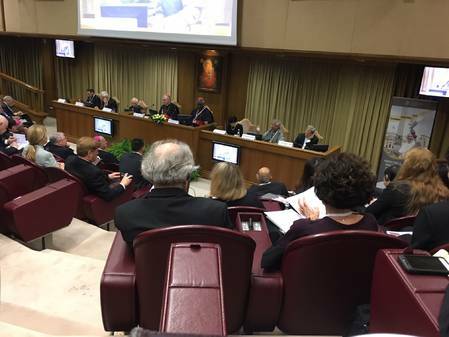 The diocese officially is (the cathedral and wherever Metropolitan Nicholas is serving) however I've been told about 50% of the parishes are on the revised Julian Calendar including Camp Nazareth. When I was at Penn State in the late 1960s, we attended St. John The Baptist in Philipsburg and St. Mary's in Osceola Mills. 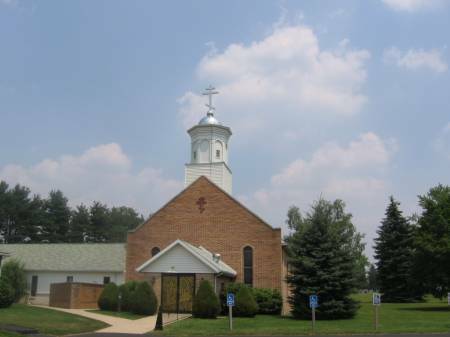 Now, there's a parish in State College, Holy Trinity. This parish is Julian Calender and uses Prostopinije exclusively. 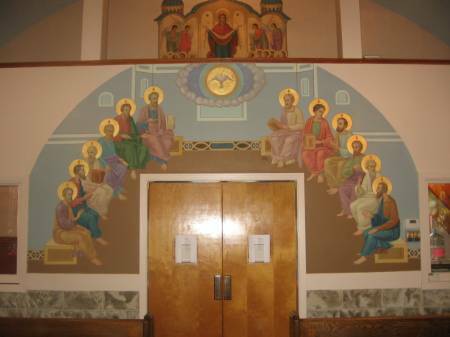 The Byzantine Forum provides message boards for discussions focusing on Eastern Christianity (though discussions of other topics are welcome). 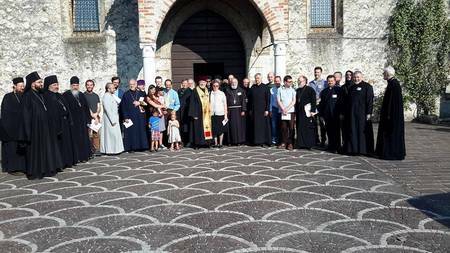 The views expressed herein are those of the participants and may or may not reflect the teachings of the Byzantine Catholic or any other Church. 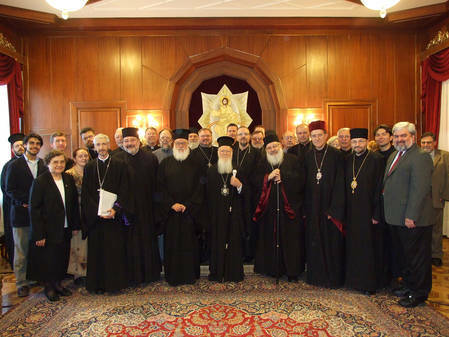 The Byzantine Forum and the www.byzcath.org site exist to help build up the Church but are unofficial, have no connection with any Church entity, and should not be looked to as a source for official information for any Church. 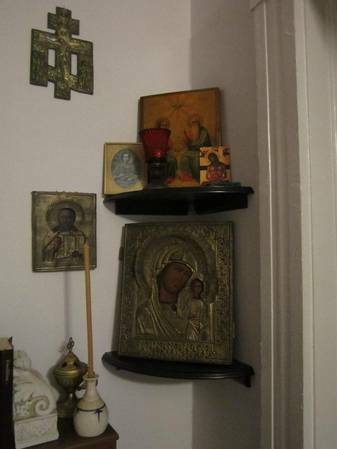 All posts become property of byzcath.org. Contents copyright - 1996-2019 (Forum 1998-2019). All rights reserved.